Say hello to the brand new Honda Brio AT! It was in the news since a long time and with its competitors already installed with an automatic transmission, it was the correct move for Honda to bring in the automatic variant of Honda Brio. However, for the car the battle ground is already geared up as this one is going to face a tough fight from well established models, Hyundai i10 AT and Maruti A Star AT. Honda has made any changes on account of exteriors or interiors or the engine. The only change you would see here would be the five speed automatic gearbox coupled with the engine now. This would not only make the performance of the car smooth, but also deliver an awesome driving experience to the driver. 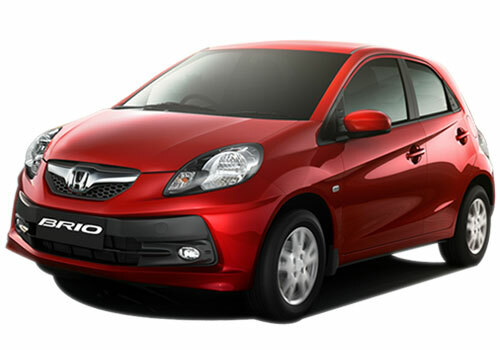 But if comparing with its challengers, there is a lot that Honda Brio AT will have to cope up with. The first segment we would see is the price. Honda Brio AT has been rolled out with a price tag of Rs. 5.74 lakh, which seems quite affordable, but at the same time, Maruti A Star AT is being sold in the market for Rs. 4.58 lakh. Therefore, the major competition of the Honda Brio AT in terms of price is with Hyundai i10 AT, which is available for Rs. 5.20 lakh. Next up is mileage. The mileage delivered by Honda Brio AT is not all disappointing. The car manages to give out 16.5kmpl of fuel economy on road, but on the other hand, Maruti A Star AT is one step ahead and delivers 15.6kmpl of mileage. However, the last place here goes to Hyundai i10 AT, which manages to generate 14.8kmpl of mileage. However, it is very close to what Brio AT gives out, but still Brio wins the race in this section. If engines are taken into account, Honda Brio AT does show what it’s capable of. Under the bonnet here you will find the 1.2 litre SOHC petrol engine producing peak power of 88PS with 109Nm of peak torque. On the other hand, the Hyundai i10 AT comes with 1.2 litre of Kappa petrol engine that churns out maximum power and torque of 80Ps and 11.4kgm respectively. Maruti A-Star AT has a smaller 1.0 litre of KB series petrol engine that generates crest power of 67Ps along with 90Nm of peak torque. Therefore, Honda Brio AT could come up as a right choice for you. With the five speed automatic gearbox coupled with the engine, Honda Brio AT zooms away with a top speed of 165kmph and touches the 100kmph mark in 14.5 seconds. However, Hyundai i10 AT is a strong challenger here but lags behind in the top speed. The car has a top speed of 160kmph but it goes from 0-100kmph in 14 seconds. Alternatively, the Maruti A Star AT has 150kmph of high speed and a chunk of 15 seconds to go from 0-100kmph. Therefore, we guess Honda Brio AT fits right in this criterion. 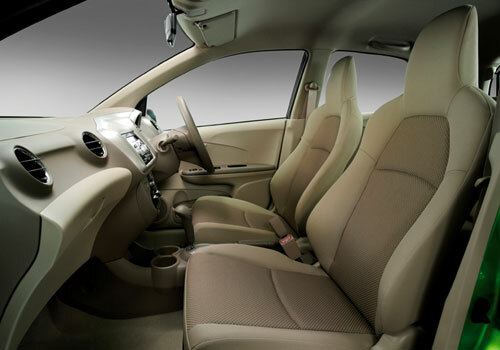 The new Honda Brio AT is offered quality features and best comfort.